Texas nursing homes disagree on the best route to improve Medicaid funding this session. We all share the goal of improving nursing home care, but that’s been lost in the noise of disagreement between advocates. It’s time to rethink where the problem truly rests — in the Texas Legislature’s lack of interest in improving Medicaid funding using state dollars to ensure quality care. Nursing homes, especially those serving Medicaid recipients, are rightfully frustrated. They are asked to do more with fewer resources. It is a demanding profession with lower wages and high stress. It’s no wonder front-line staff turnover remains so high. LeadingAge Texas has long been an outspoken voice for adequate Medicaid funding in nursing homes. We’ve all seen the comparison of Medicaid rates between Texas and the rest of the country — Texas is near the bottom. For the last 20 years, Texas nursing homes have been underfunded, making it difficult to provide the highest-quality care to our most vulnerable seniors. 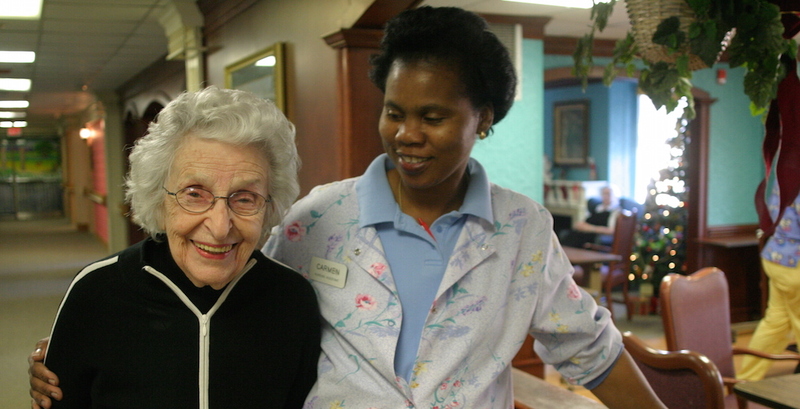 We have high expectations for quality care in nursing homes. We all want to know our loved ones are well-cared for and treated with dignity and respect. The Legislature has focused attention on improving quality, for good reason. Recent stories have highlighted cases of abuse and neglect and a 2014 AARP report ranked Texas nursing homes almost last in terms of quality and staff turnover. New laws aim to crack down on bad nursing homes that continue to fail our seniors and we support that effort. But how is the state of Texas ensuring our best nursing homes are financially able to continue caring for our parents and grandparents? Fiscal responsibility is important to Texas lawmakers and voters. Legislators contend the Medicaid program is breaking the state budget and there’s no appetite to improve funding for one of our most vulnerable populations. If we expect the best, we must give our best. The Legislature has promised a balanced budget (with no new taxes), but “balanced” does not always mean properly funded. This session, LeadingAge Texas is in full support of House Bill 2454, a nursing home quality-based payment bill, along with an attached appropriation of $100 million. The bill focuses on improving care by creating free-market incentives for Medicaid providers. This legislation has the ability to increase Medicaid rates by 5 to 10 percent over the next two years. That’s not enough to meet the shortfall in nursing home funding, but it is an important step toward improving quality and providing legislators with measurable outcomes. This quality-based payment legislation garnered unanimous support in a House hearing last week, with both Republicans and Democrats applauding the goals of the bill. Another proposal seeks to improve Medicaid rates by imposing a tax on nursing homes. Under this plan, the “private pay” nursing homes serving seniors who pay for their own care will also pay the tax — with no guarantee of seeing a dollar back, jeopardizing those nursing homes and their residents. Disagreement over the tax proposal has caused a pronounced rift between Medicaid and private-pay nursing homes. Our Legislature has a responsibility to find a solution that will work for all nursing home residents and that means using the state's general revenue fund. A funding solution for the 60,000 Medicaid nursing home residents in Texas makes good moral and economic sense. High-quality care prevents expensive hospitalizations and other high-cost services. Nursing homes are large employers fueling our state’s economy and sustaining the communities around them. Attracting and retaining staff who know the residents they care for leads to quality care, cost savings for families and the state, and increased employee satisfaction. With less than a month left in the session, the Texas Legislature must decide if improving the quality of nursing home care is a priority. Legislators can choose to invest in quality nursing home care by using existing state dollars supported by all Texans, rather than imposing a new tax that burdens Texas’ best nursing homes and the residents they serve. Nursing home residents on Medicaid are not “taking advantage” of state resources. Frequently, they’ve just outlived their savings. In our free-market society, Texas should pay only for high-quality care and the best possible outcomes in return for the dollars spent. We should not be arguing about what type of nursing home or nursing home resident is more important. Rather, we must demand our Legislature step up and take responsibility for the quality crisis in Texas nursing homes. Patrick Bresette, Executive director, Children’s Defense Fund-Texas.